I stopped at the Humongous Tag Sale at King Street Church today and found Nick eating lunch in the church kitchen while his mom and dad helped with the sale. Nick is still in what I call his "fist-fork" phase. 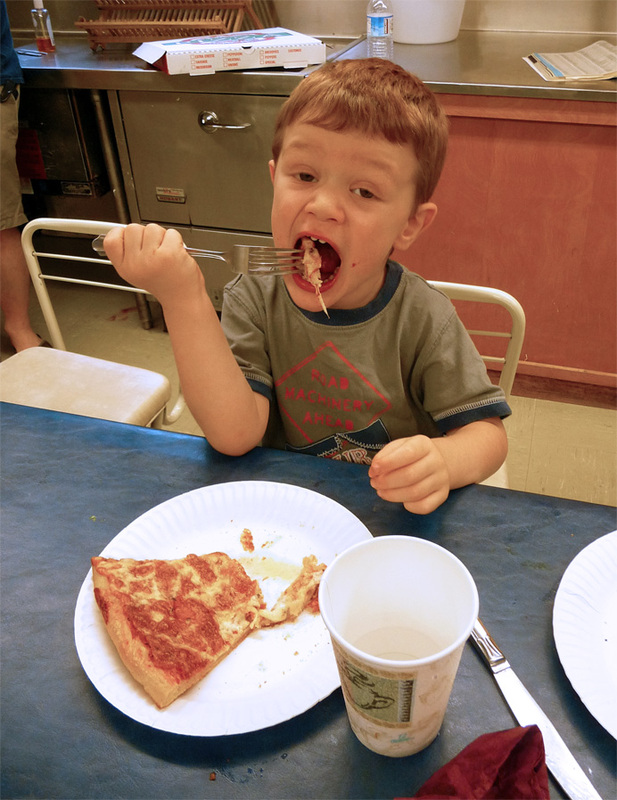 At what age is he likely to begin controlling a fork with his index finger? (I can't remember; my kids are 17, 25, and 28.) Do child-development experts recognize it as an official milestone? Was it studied by Piaget? .